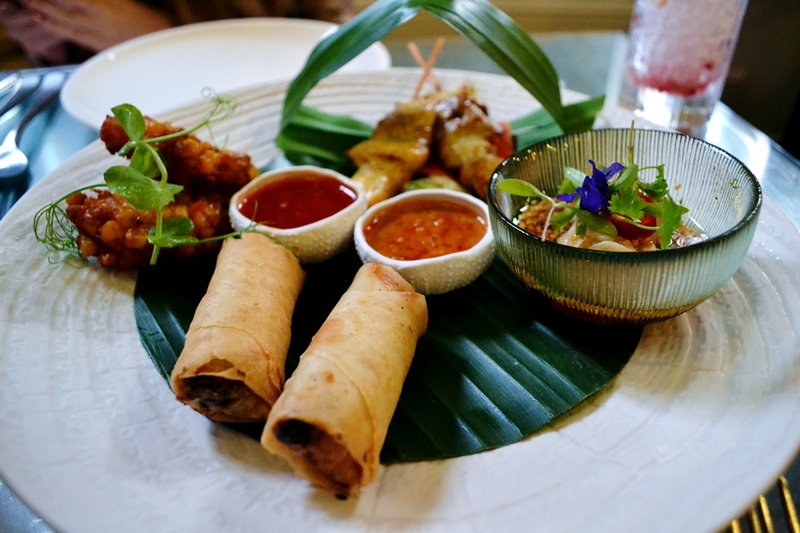 For a first foray into Thai Fine Dining, Chaophraya Manchester is a good place to start and with promises of a completely revamped menu, our team were delighted to be invited to try the new dishes first. Set just off King Street in central Manchester, Chaophraya from the outside can be deceiving as the initial structure resembles a classic pub, leaving much to the imagination once stepping inside. Stepping through the doors, guests are truly transported to another place which is easy to forget its roots in Northern England. 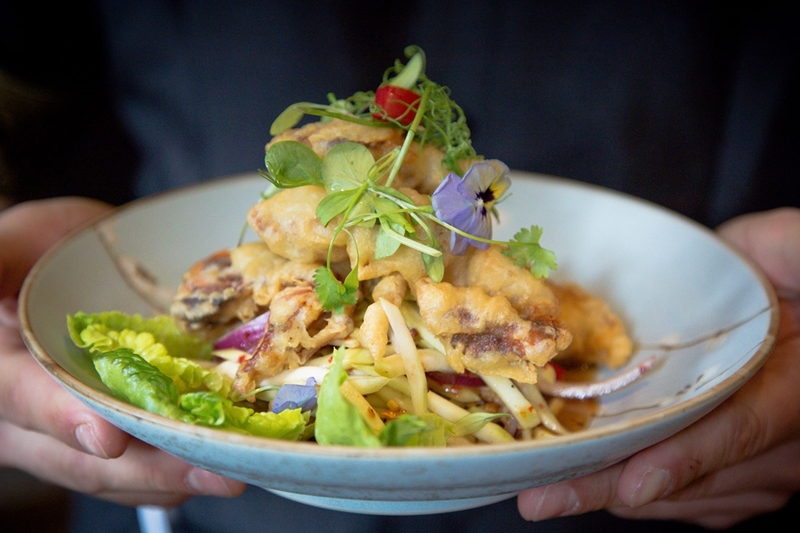 Chic and ornate, the restaurant plays with juxtaposition of modern aesthetics with an authentic Thai influence. Lavish beads behind reception set the tone for the evening, proving the venues dedication to detail in the very first instance. This was to be a recurring theme throughout the evening. Our host showed us to our tables, which was low set and had option to sit cross-legged on a cushion or make use of the cut-out underneath space and dine traditionally. First up were the drinks options and we were generously offered our choice of the newest cocktails, wine or beer. 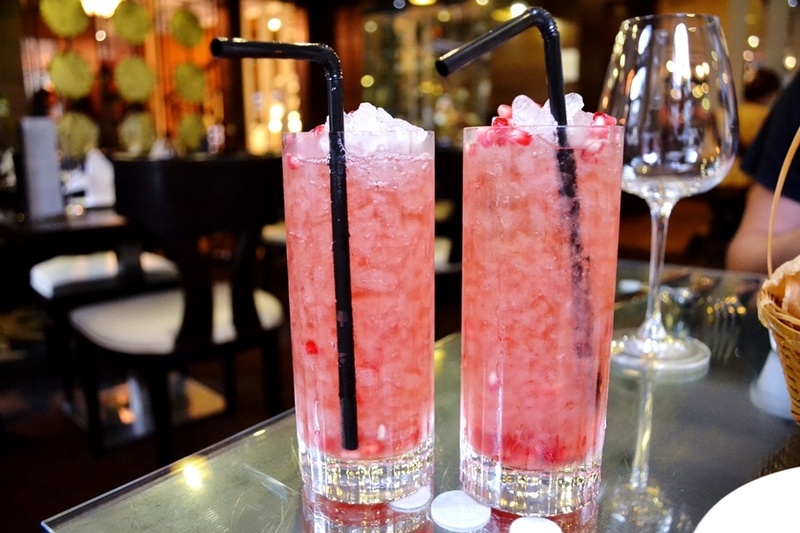 Not wanting to miss out on the chance to sample, our editors opted for the Rubies and Diamond Cocktail, an icy affair blended with red berries which tasted as good as it looked. 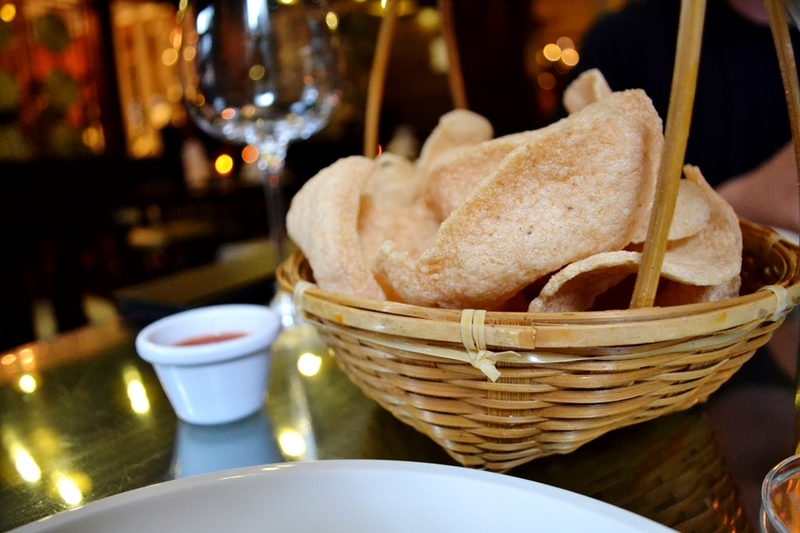 Crackers and dips were in plentiful supply to satisfy eagerly hungry diners as they mulled over the starters on hand. Our team settled on sharing the classic Chaophraya Platter, which combined Satay Chicken Skewers, Pork Dumplings, Sweetcorn Cakes and Chicken Spring Rolls.A variety of meat with additional dips and flavour, this platter provided a hearty start to our meal and as we were informed, adhered to the Thai tradition of sharing food between guests. For mains our team chose the Salt Rock Steak and Massman Lamb Curry, giving a nice balance of classic and more acquired options. 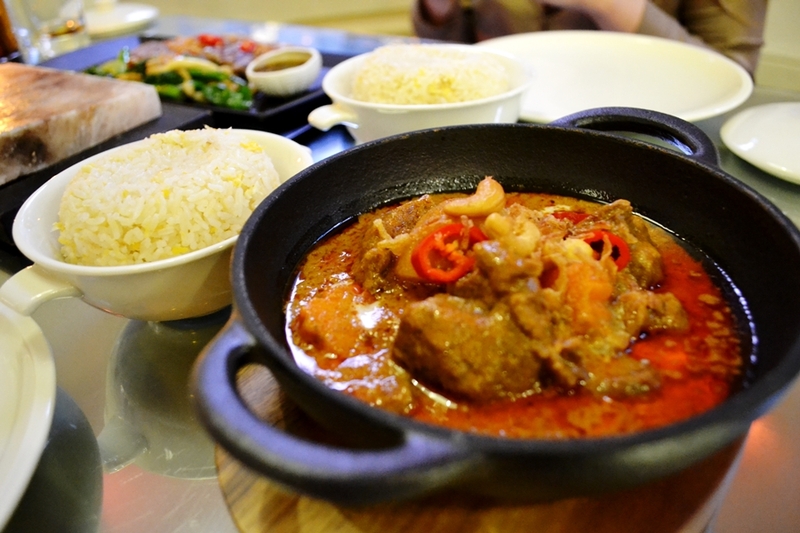 The Massaman Curry was creamy with emphasis on nut flavour, leaving a consistent texture which taste which satisfied the tastebuds, sticking closely to typical thai choice. 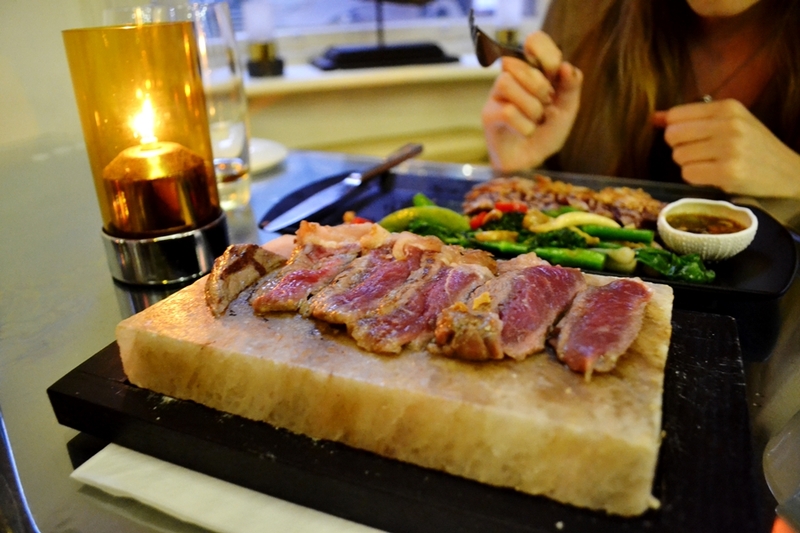 On the contrary, the Steak pandered to more specialised cuisine, offering a show stopping presentation which left the steak served rare with an accompanying hot salt rock produced, in which guests were encouraged to cook the meat to their fancy. Not only did the salt rock method offer opportunity to cook steak to your preference, it also infused the dish with seasoning as it cooked, offering an exquisite result, the steak was left tender but not at all chewy to melt in the mouth and fall apart with ease. 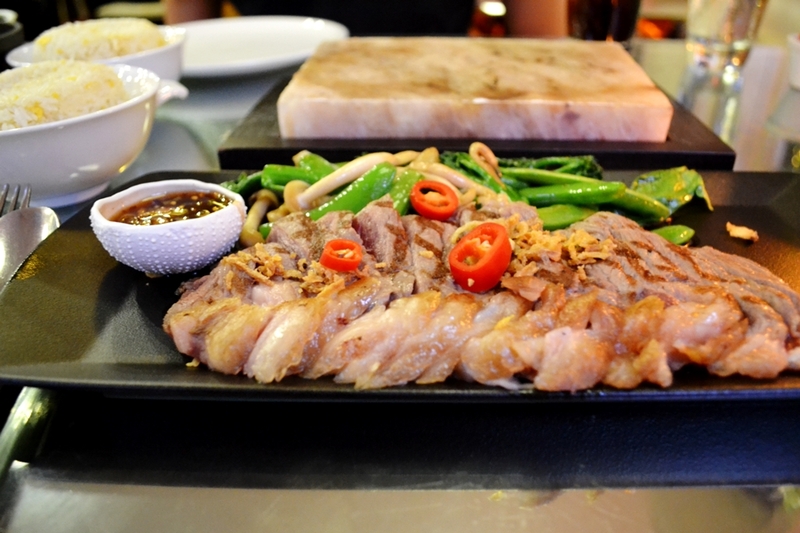 Our mains were served with optional sides of Egg Fried Rice to beef up the meals, although the overall experience is very filling to consume all three courses with drinks on top. Once full it would have been easy to reject the offer of dessert, however after a glance at the menu it was difficult to say no. Sharing and sampling two dishes, the desserts of choice were the Chocolate Bombe and the White Chocolate Box, catering to the sweet toothed diners desires. 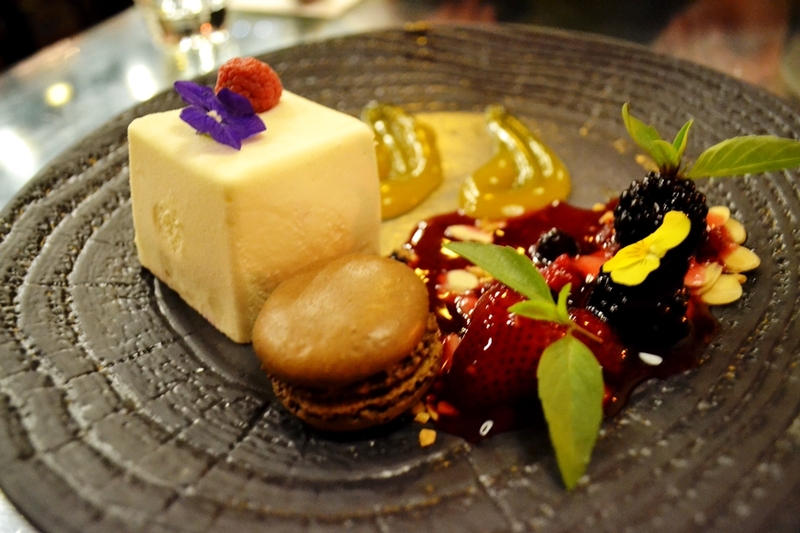 Sweet and beautifully presented, the White Chocolate Box was self-explanatory,white chocolate exterior enclosing a fruity raspberry filling, this was given company with red berry compote and a chocolate macaron for good measure. 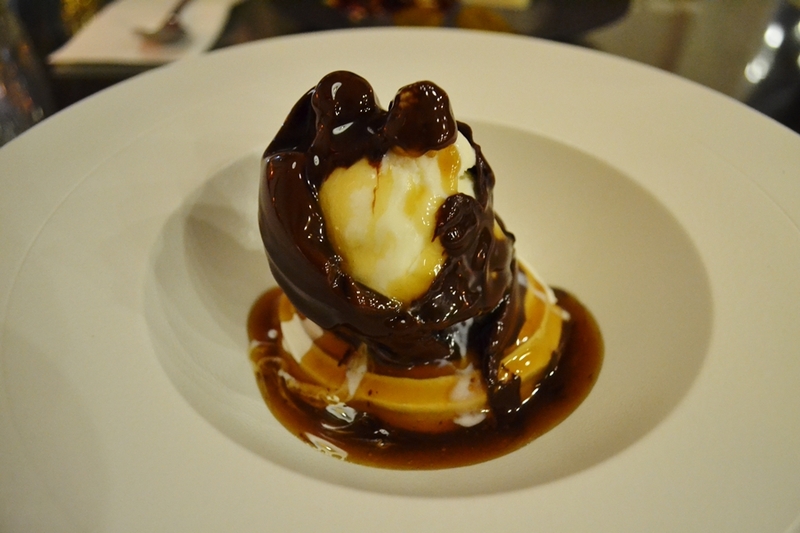 The Chocolate bomb was the centre point of our third course, set to be as visually appealing as it was taste-wise. Presented in a large, circular chocolate shell, the Bombe is sat before the diner as a host pours hot caramel sauce over, allowing the shell to melt away and reveal the ice-cream and further chocolatey delight inside. The chocolate dishes available may not strictly be 100% thai inspired, however there were options of leaf pancakes with mango for those wanting to stick to the typically thai experience. 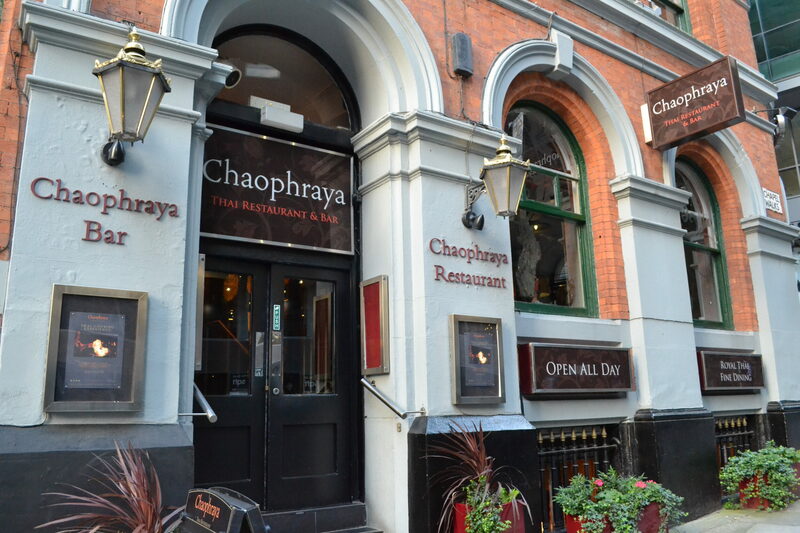 For the menu and to book your trip visit Chaophraya Restaurant. Cloud23 Launch Their Midnight Feast! "The Best Pumpkin Recipes from the Web"
"David Gandy joins Prince Charles at Inaugural Wool Conference Dinner"